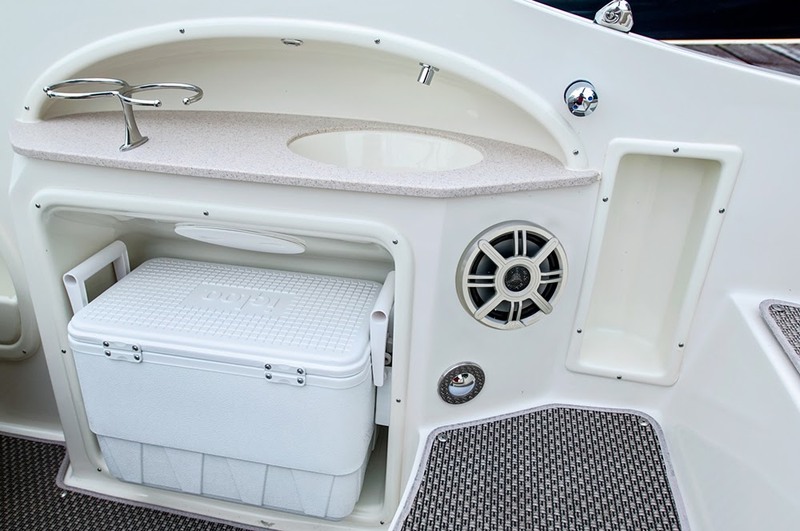 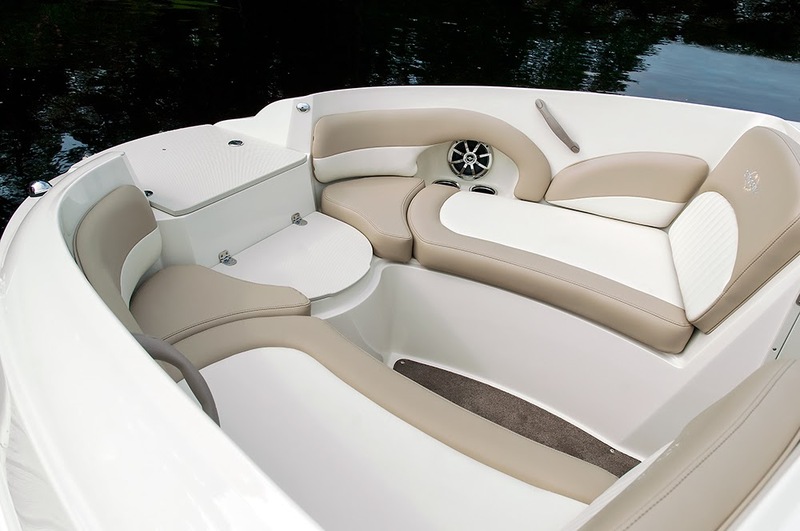 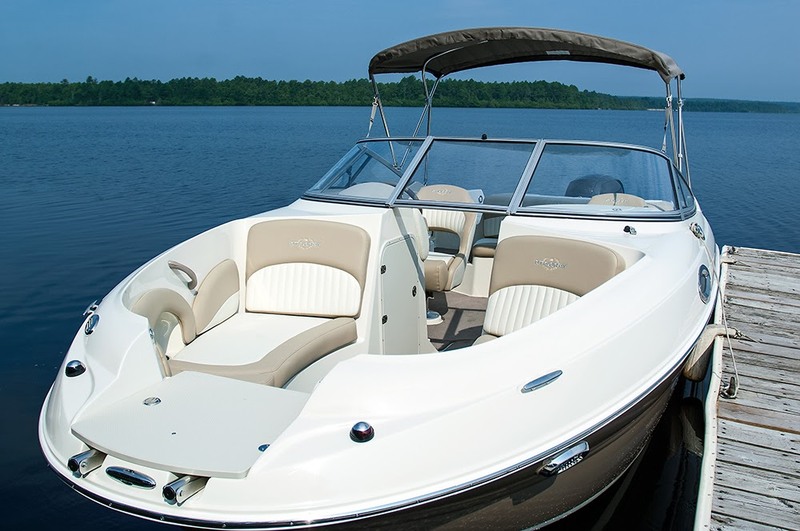 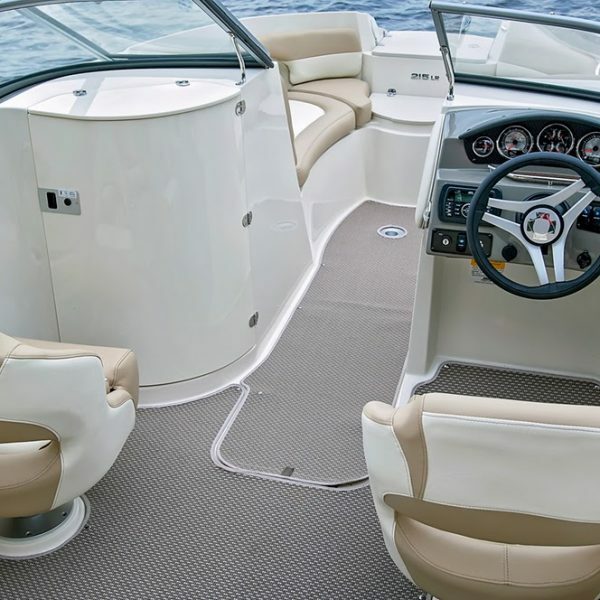 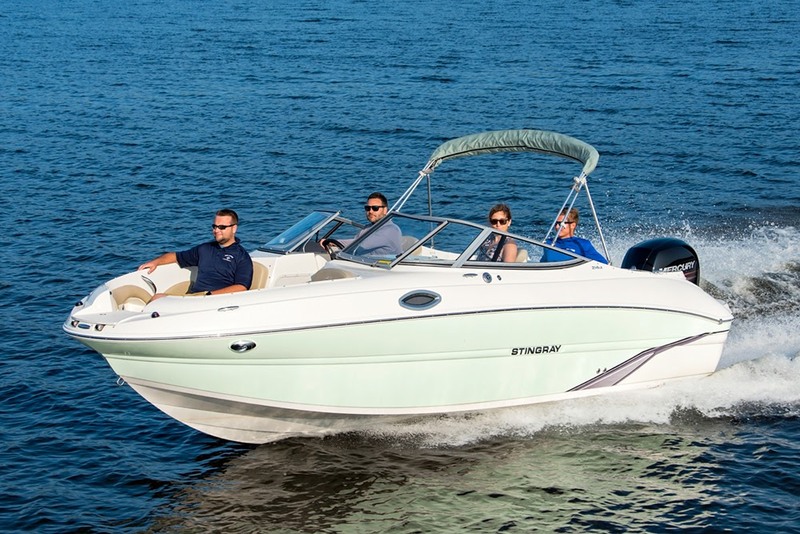 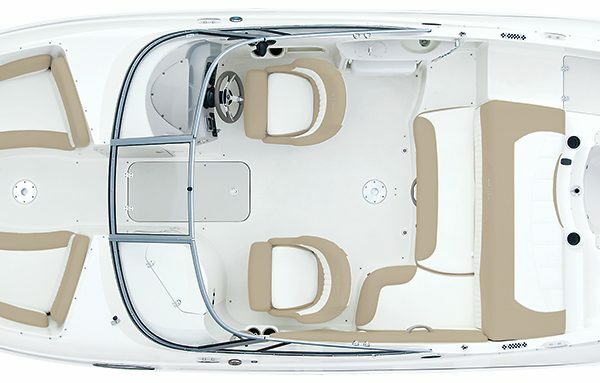 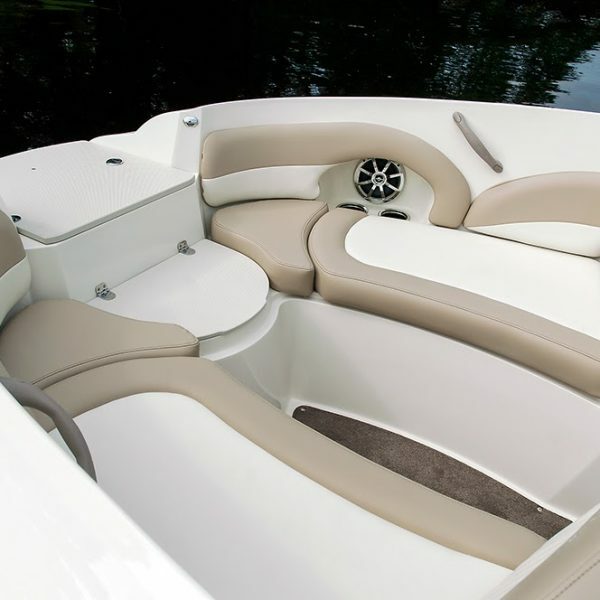 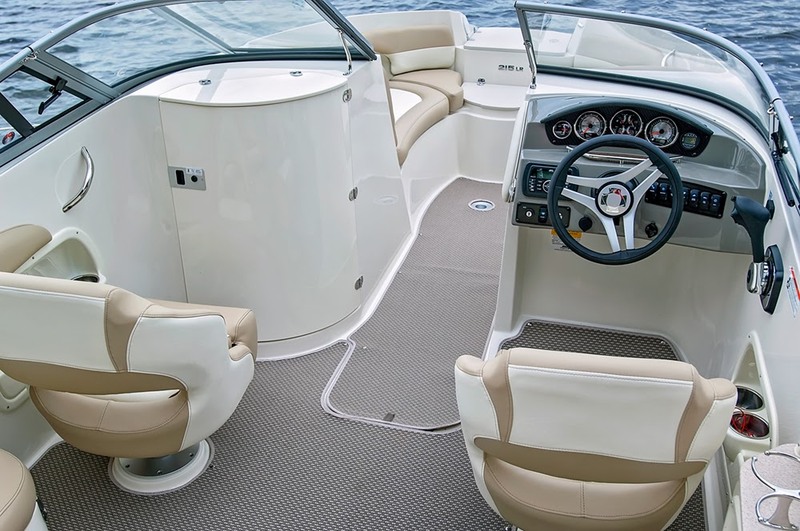 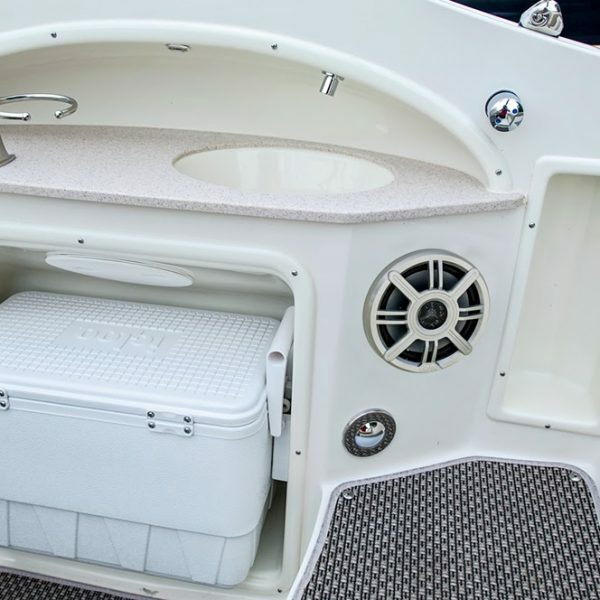 The 214LR is the outboard version of our popular 215LR sport deck model, featuring a wide body cockpit for optimal passenger space and a large, functional head compartment for weekend trips. 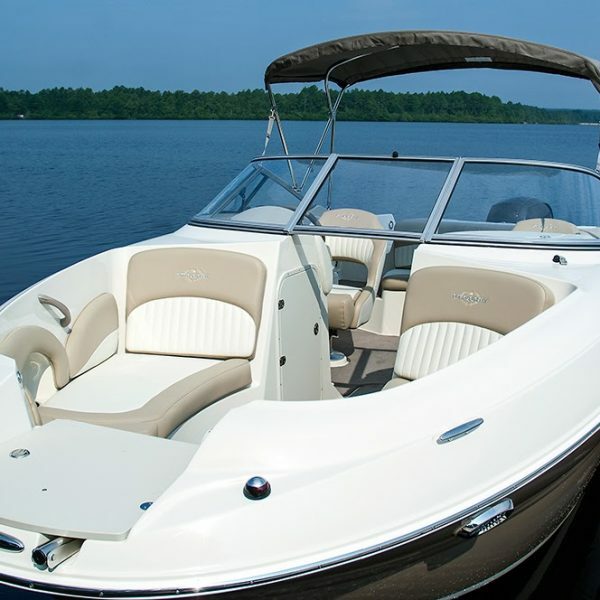 Other standard features include a freshwater sink, removable 25-quart cooler, self-bailing cockpit, pressurized bow and transom showers, and a removable cockpit table for entertaining. 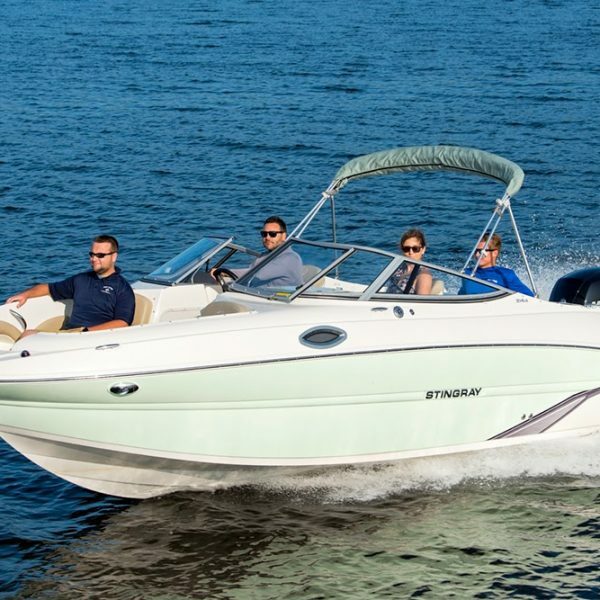 We invite you to compare our model (features, performance, and fuel efficiency) to others on the market.